Hi my name is Arshveer. Soccer is my favourite sport. I go to a school and I am in grade 2. My favorite video game is Diepio. We have no internet so we can’t play that game. I like roblox but not that much. 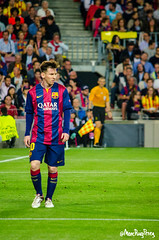 My favourite soccer player is Messi who is really famous. My favourite food is cheese pizza! I have two elder brothers. One of them is in grade 8 and another one is in grade 5. My favourite animal is a Tiger. I think it is the king of the animals. Please leave a comment telling me what your favourite video game is or tell me what your animal is. G0DeX via Compfight Marc Puig i Perez via Compfight.